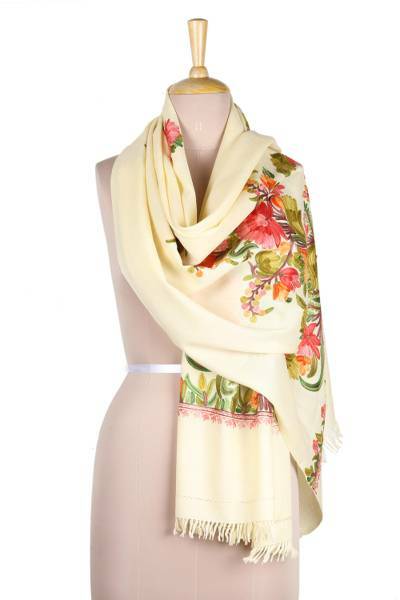 Multicolored Floral Embroidered Shawl on Ivory Wool, "Morning Greeting"
Solid ivory wool plays host to a glorious profusion of colorful flowers on this shawl from Sajad in India. The floral embroidery is done by machine in the aari style, which resembles chain stitch. The medium-weight shawl is soft and drapes beautifully.